With summer officially here that means more time spent outdoors. And as you know, not all outdoor décor is created equal. 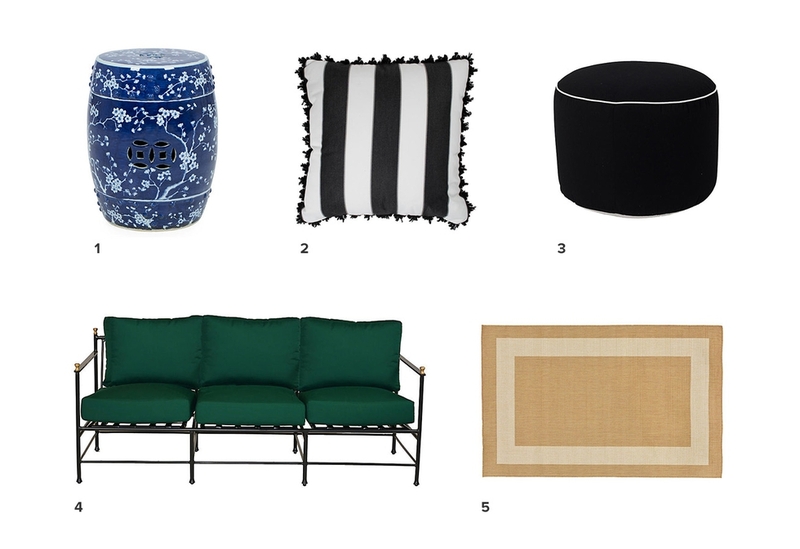 So before you change up your outdoor furniture take the time to piece together a welcoming retreat with some help from Decorist design director Jessica McCarthy. 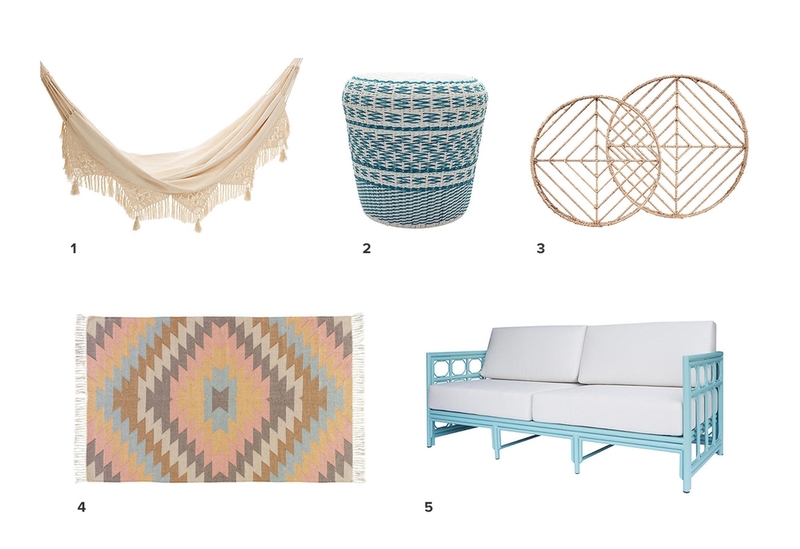 We asked Jessica to pick her favorite outdoor looks and some of her favorite finds from One Kings Lane to go with it. 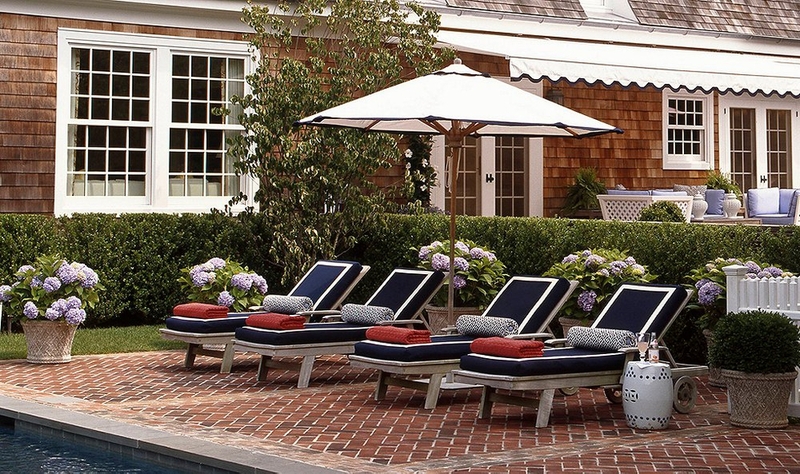 has also been a Decorist favorite for years and to no surprise they have amazing outdoor patio furniture. With a cool pop-up shop in Southampton this summer, they are brimming with fabulous new finds. 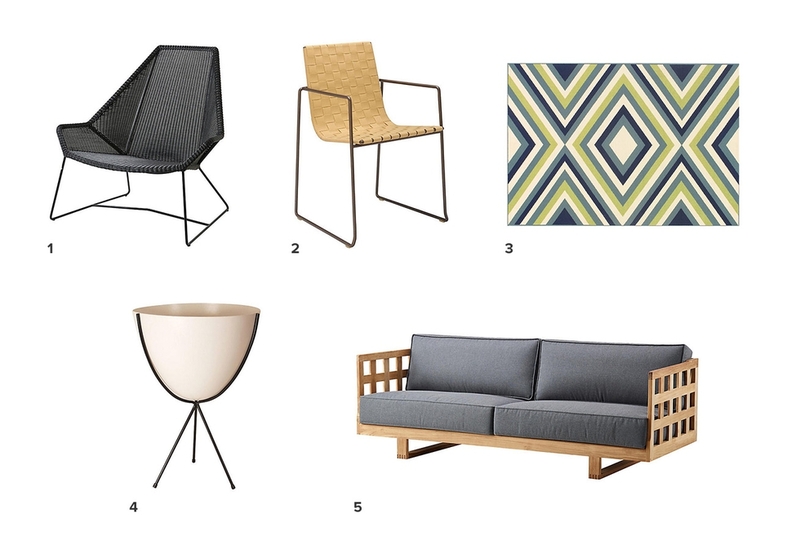 Whether you plan to lounge by the pool, share meals with family and friends, or just relax and hang out, Jessica's got some great inspiration and product finds for your outdoor patio space! 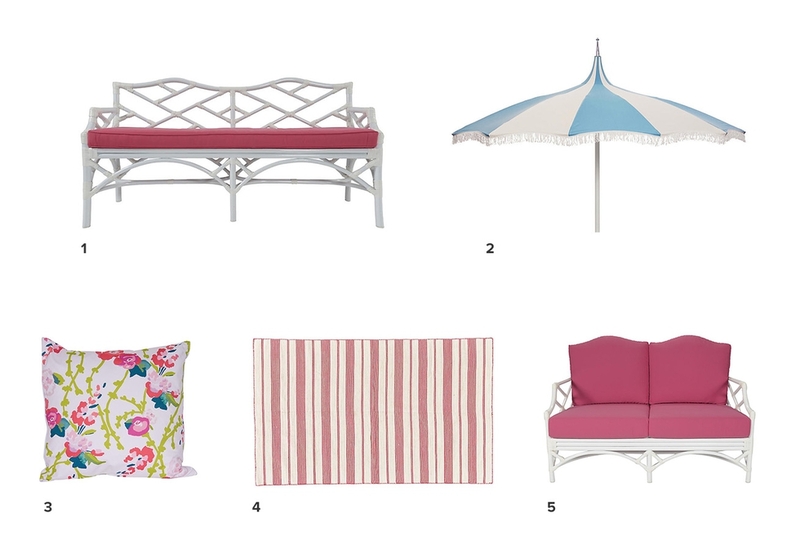 You can create a coastal outdoor space even if you don't live in the Hamptons! 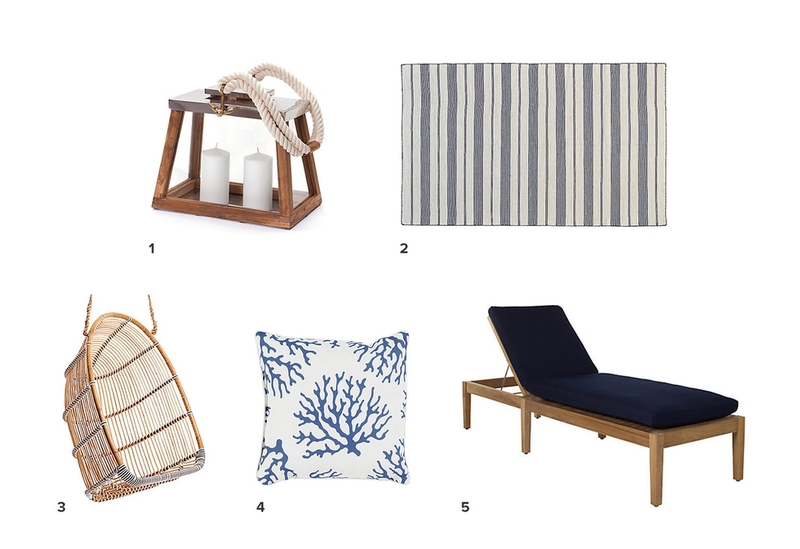 Crisp fabrics, seaside inspired colors in navy and white, weathered woods all create the relaxed and unfussy look of a coastal getaway. Clean lines and muted fabrics make for an easy-going outdoor space. Throw in geometric patterns and earthy colors for a family friendly space perfect for outdoor lounging as well as entertaining. Ruffles, bright colors, classic lines and mixing patterns all lend to a retro poolside aesthetic. 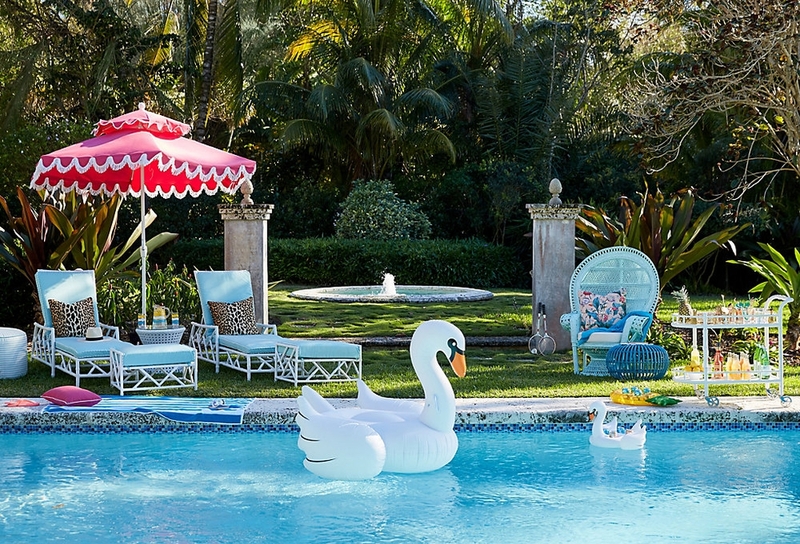 Think old school Beverly Hills Hotel meets a Palm Springs garden party! Tailored, refined and elegant are all terms to define this classic style, perfect for a sophisticated outdoor terrace. 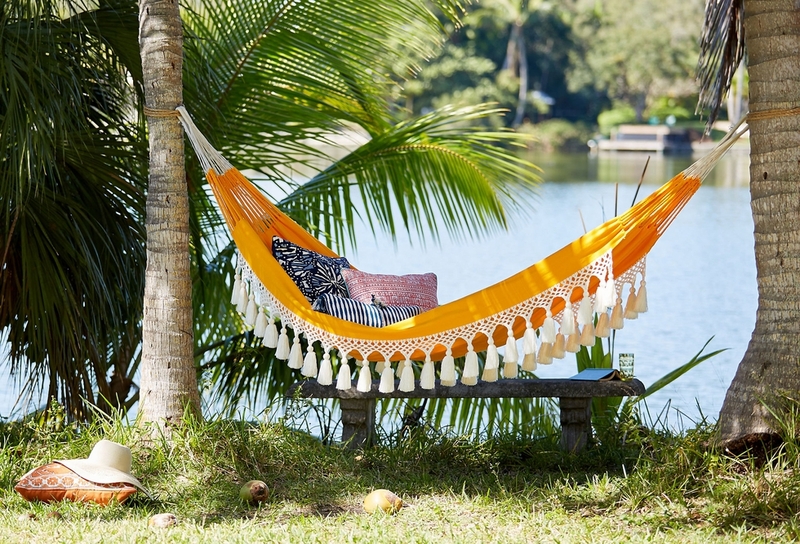 For those with a nomadic spirit looking for a free flowing and easy going outdoor oasis, hang a hammock, layer in textures and kick back and let your inner bohemian shine. Need help pulling your outdoor patio, deck, screened-in porch or terrace together? Well, we got you covered! Start a for a sophisicated, affordable and stress free design. Happy Decorating!